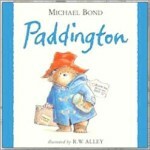 Michael Bond was born in Newbury, 13th January 1926. He was raised in Reading, Berkshire, where his visits to Reading Station to watch the Cornish Riviera Express go steaming through started a love of trains. He was educated at Presentation College, Reading. During World War II Michael Bond served in both the Royal Air Force and the Middlesex Regiment of the British Army. “I bought a small toy bear on Christmas Eve 1956. I saw it left on a shelf in a London store and felt sorry for it. I took it home as a present for my wife Brenda and named it Paddington as we were living near Paddington Station at the time. Michael Bond sent the book to his agent, Harvey Unna, who liked it and after sending to several publishers it was eventually accepted by William Collins & Sons (now Harper Collins). The publishers commissioned an illustrator, Peggy Fortnum and the very first Paddington book “A Bear Called Paddington” was published on 13th October 1958. Paddington is not the sort of bear that would ever go to the moon – he has his paws too firmly on the ground for that. He gets involved in everyday situations. He has a strong sense of right and wrong and doesn’t take kindly to the red tape bureaucracy of the sillier rules and regulations with which we humans surround ourselves. Bond has also written another series of children’s books, the adventures of a guinea pig named Olga da Polga, as well as the animated BBC TV series The Herbs. Bond also writes culinary mystery stories for adults featuring Monsieur Pamplemousse and his faithful bloodhound, Pommes Frites. 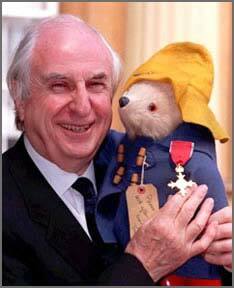 In 1997 Michael Bond was awarded an OBE for services to children’s literature. On 6 July 2007 the University of Reading awarded him an Honorary Doctor of Letters. 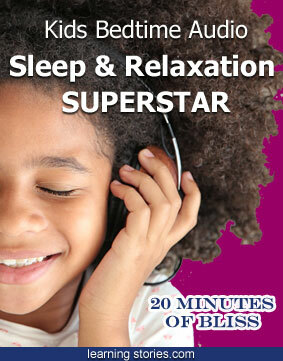 He is married with two adult children and lives in London, not far from Paddington Station.